Ken Gets His Loud and Rasta On, Mon!! 2 Reviews on the Weekly Firecast Podcast!! In this episode, I review Loud Foods Orange Sunshine Mango Habanero sauce and Rasta Bros Rasta Hot Sauce!! Very different sauces and very different flavors!! And while you’re there, catch Scott’s interview with Sam and Tina!! Awesome people with even awesomer products!!! It’s a Fiery World, folks, so check it out!! Episode #76 – Sam & Tina McCanless of Zane & Zack’s World Famous Honey Co. The Washington state-based owners of Zane and Zack’s, Sam and Tina McCanless, join Scott and talk about what it’s like to combine honey and hot sauces, and also discuss a timely Ted Nugent-autographed guitar raffle that will benefit a wounded U.S. soldier, Sergeant Frank Hegr. Ken reviews two spicy products, and Scott tries out The Pepper Pantry‘s Hot Peppers In Oil. Zane and Zack’s World Famous Honey Co.
I’m honored to join Scott on a special edition of the Firecast podcast to highlight this wonderful couple’s current struggle! Battling cancer is bad enough without worrying about paying your bills!! Take a listen and follow your heart because sometimes our Fiery World burns! Be blessed, folks! 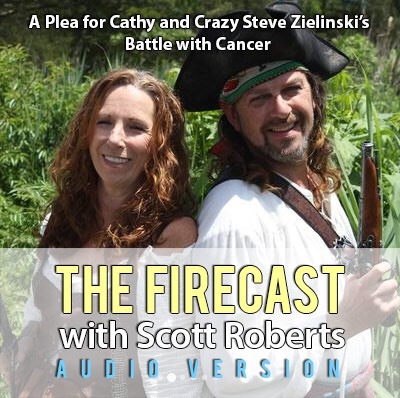 In this short but special episode, Scott and Ken urge everyone to help out our friends Steve and Cathy Kielinski of Crazy Steve’s Pickles and Salsas as Cathy has been diagnosed with breast cancer. Make a small monetary donation via Cathy and Steve’s Fundly page. Order some of Steve’s new flavored popcorn (as mentioned in the podcast) or any other product on their shopping cart page. If you’re a chilehead, a barbecuer, or just a general foodie, please consider helping out these fine folks. Let’s show Steve and Cathy that we are among the best and most supportive communities anywhere and that we take care of our own. Thank you! Sriracha Time!!! Check out the latest episode of Ken’s Fiery World on the Weekly Firecast!! Scott and I have a great discussion of the whole Sriracha craze and do an impromptu review of Fix Hot Sauce, a new, organic Sriracha sauce out of the Seattle area! And stick around for all the other spicy goodness in this week’s Weekly Firecast with Scott Roberts!!! Why should you? Because……(wait for it!..)….. It’s a Fiery World!!!!! One of the First Ladies of the BBQ competition world, Danielle Dimovski, AKA DivaQ, joins Scott via Skype and talks about her smoker and grill preferences, outdoor cooking pet peeves and favorite flavor combos, and also discusses her TV career as host on the Travel Channel’s BBQ Crawl and contestant and barbecue judge on Destination America’s BBQ Pitmasters. 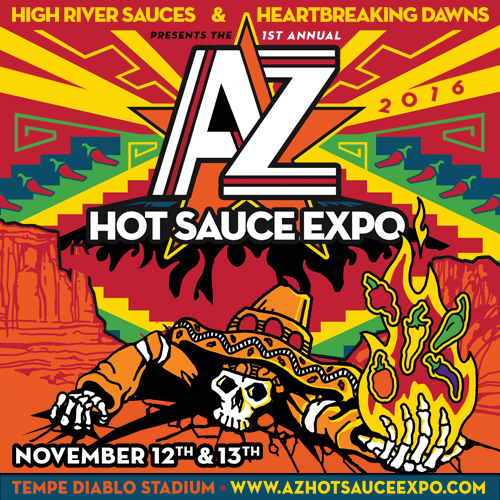 Ken Alexander joins Scott in his Fiery World segment to engage in a lengthy conversation on the Sriracha hot sauce craze. Scott reviews the Sam and Oliver Sauce Company’s Cinder Habanero Hot Sauce.